Clean Water Act (CWA) sections 402(a) (1) and (2) give the permitting authority the ability to include Best Management Practices (BMPs) in permits on a case-by-case basis to carry out the provisions of the CWA. Permits may include BMPs in order to control plant site runoff, spillage or leaks, sludge or waste disposal, and drainage from raw material storage. A combined Sewer Overflow (CSO) is the discharge of combined sewerage from a combined sewer system into waters of the State at a point prior to receiving minimum treatment. A combined sewer system (CSS) is a wastewater collection system owned by a State or municipality (as defined by section 502(4) of the CWA) which conveys both sanitary wastewaters and stormwater through a single-pipe system to a Publicly Owned Treatment Works (POTW) as defined in 40 CFR Part 403.3(q), and therefore, communities utilizing these systems must obtain a NPDES permit to discharge. All NPDES permits must be written to meet Water Quality Standards including numeric criteria, narratives, and mixing provisions. This applies to permits that contain CSO outfalls. CSO permits must initially implement the nine minimum control measures and applicable Long Term Control Plan (LTCP) provisions. Upon implementation, post-construction compliance monitoring is required to allow the permitting authority to determine whether the CSO discharges achieve State Water Quality Standards (WQS). In 2014, EPA published the final rule for Section 316(b) of the Clean Water Act (CWA) establishing requirements for the design and operation of Cooling Water Intake Structures (CWIS). In order to minimize adverse impacts to aquatic life the rule establishes Impingement Mortality Best Technology Available (BTA) standards. Applicable facilities that meet all four of the following conditions must follow regulations outlined in 40 CFR Parts 122(r) & 125 Subparts I, J, & N.
The facility is a point source may discharges under a NPDES permit to waters of the State. The cooling water intake structure withdraws cooling water from waters of the State. The facility design intake flow (DIF) for all cooling water intake structures at the facility is greater than 2 MGD. The facility has an intake structure that withdraws more than 25% of the water for cooling purposes on an actual intake flow basis. Applicable facilities that withdraw greater than 125 MGD on an actual intake flow (AIF) basis will also be subject to Entrainment BTA Standards. Existing facilities must also complete an annual report as described in their permit. Annual reports should contain the results of biological monitoring, velocity and head loss monitoring, and visual or remote inspections. New facilities should contact the Watershed Protection Branch for more information. On December 21, 2015, the U.S. Environmental Protection Agency (EPA) promulgated the NPDES Electronic Reporting Rule (E-Rule) in 40 CFR 127 to modernize Clean Water Act reporting for POTWs, industries, and other facilities by converting to electronic data reporting systems (NetDMR) for NPDES permits instead of submitting written paper reports such as your paper Discharge Monitoring Reports (DMRs). Permitted facilities are thus required to submit all DMR, Operating Monitoring Report (OMR), and additional monitoring data using the web based NetDMR system at: https://netdmr.epa.gov/. Operational Monitoring Reports (OMRs) contain the raw data that is summarized on the DMR. They must be attached to your electronic DMR. Please contact your assigned EPD compliance office to discuss variations of your OMR. Please speak with your compliance officer if you have any questions about your DMR and OMR submittals. This program may be enforceable through their NPDES or LAS permit, including but not limited to the submittal of local limit evaluations, compliance monitoring, inspections, and an annual report. The corresponding annual report may be found here. Please review the Industrial Pretreatment page for the process for approval and additional information. Long Term Biochemical Oxygen Demand (BOD) testing provides a foundation for a defensible wasteload allocation (WLA). Long-Term BOD testing provides a means for separating carbonaceous BOD (CBOD) and nitrogenous BOD (NBOD), components which are required for successful water quality models. As a result, National Pollutant Discharge Elimination System (NPDES) permittees may be required to test for Long Term BOD during the permit term. Additional information on Long Term BOD may be found here. A mixing zone is the area where a discharged effluent undergoes initial dilution. It is an allocated range where water quality criteria can be exceeded as long as it does not result in toxic conditions or receiving waterbody impairment. The Federal Regulations at 40 CFR 131.13 allow mixing zones at the discretion of the EPD. 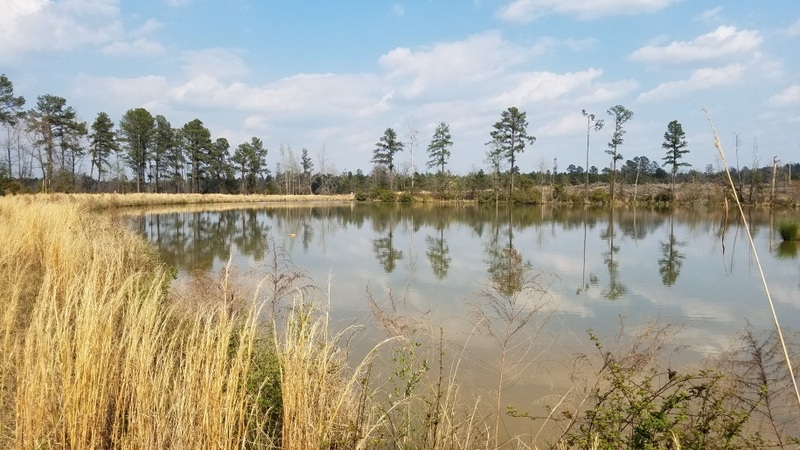 Georgia State Rule 391-3-6-0.03(10) allows EPD to designate a mixing zone, provided that the receiving waterbody is protected from acute toxicity to ensure a zone of safe passage for aquatic organisms. Water quality modeling may be performed in order to establish a designated mixing zone for an NPDES permit. A permit may be transferred by the permittee to a new owner or operator and/or undergo a name change only if the permit has been modified or revoked and reissued, or a minor modification made. A minor modification may allow for a change in ownership, operational control, or name of a facility where the Director determines that no other change in the permit is necessary, provided that a written agreement containing a specific date for transfer of permit responsibility, coverage, and liability between the current and new permittees has been submitted to the Director. The period of noncompliance, including exact dates and times; or, if not corrected, the anticipated time the noncompliance is expected to continue, and steps being taken to reduce, eliminate, and prevent recurrence of the noncomplying discharge. Furthermore, a “spill” is defined as any discharge of raw sewage by a POTW to the waters of the State. A “major spill” is then classified as a discharge of pollutants that exceeds the weekly average permitted effluent limit for biochemical oxygen demand (5-day) or total suspended solids by 50 percent or greater in one day, provided that the effluent discharge concentration is equal to or greater than 25 mg/L for biochemical oxygen demand or total suspended solids; or, any discharge of raw sewage that exceeds 10,000 gallons or results in water quality violations in waters of the State. Whenever, because of an accident or otherwise, a spill occurs, it is the responsibility of the person in charge of take all reasonable and such substances at the time to forthwith notify EPD in person or by telephone of the location and nature of the danger, as well as to immediately take the necessary steps to prevent injury to property and downstream users of said water, as outlined in their permit. (State Rules 391-3-6-.05). 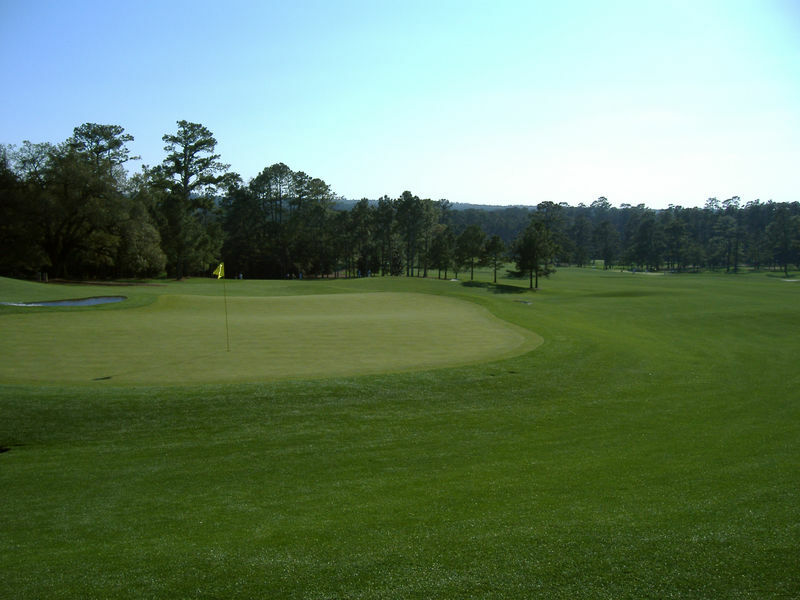 Urban water reuse is generally applied to the use of reclaimed water for the beneficial irrigation of areas that are intended to be accessible to the public, such as golf courses or landscaping. However, reuse water may also provide for a number of expanded uses, such as fire protection, fountains, agricultural irrigation, or industrial processes. Due to the use of reclaimed water in areas of unrestricted public access, it is necessary that the industrial and/or domestic wastewater applied be treated to more stringent effluent limitations. EPD thus allows permittees to provide this valuable resource to designated users through its permits. Prior to providing permitted reuse water to a designated user, written notice must be provided to EPD. The permit may then be modified to include the necessary limitations required and shall undergo a public comment period before the reuse may be approved. For more information, please review our reuse guidelines here. The Savannah 5R Alternative Restoration Plan Annual Report is applicable to Savannah River/Harbor dischargers who have been allocated an Ultimate Oxygen Demand (UOD) loading. The annual report will characterize a facility’s discharge and confirm that the facility’s discharge was appropriately represented in the Savannah River and Harbor DO Calculator Version 4.0 (June 2010). Reports are due no later than November 15th of each year. The disposal of sewage or domestic sludge (biosolids) generated at a wastewater treatment facility may be disposed of by any of the following means: landfill, land application, incineration, or through another third party. If a facility wishes to utilize a method other than a landfill, the facility is required to develop and receive EPD approval for a Sludge Management Plan (SMP) through a permit modification. The SMP shall be implemented in accordance with Chapter 391-3-6-.17 of the State Rules and 40 CFR 503. Upon obtaining approval of a SMP, the permit may be modified and the plan shall be enforceable through the facility’s permit. The permittee will then be required to monitor the application of sewage sludge as specified in their permit, as well as submit an annual report in accordance with the State Rules (see reference above). Forms and aid corresponding to the required annual report, as well as guidelines for the land application of biosolids, may be found below. For Soil Amendment Registration Applications and Guidelines, please contact the Department of Agriculture. The establishment of the WA and WPP is thus enforceable though the facility’s NPDES or LAS permit. Please be advised that any new or expanding facility may not be given authorization to operate until the WA and WPP have been completed and approved. For more information on the specific requirements, please visit the guidance page. Watershed Protection Plan Annual Reports should contain a certification of the implementation of the plan, all watershed plan data, and a progress report of BMPs and any changes to the plan. NPDES permittees may be required to conduct WET testing as part of an NPDES permit requirement, as part of the application process for reissuance of an existing NPDES permit or as otherwise required by EPD. EPD recommends that all applicants and permittees carefully review their permit and application requirements in advance in order to ensure all necessary sampling events have been conducted. For more information on WET Testing, please visit the US EPA website.